Beyond exhaust hood cleaning, there are other ways we help keep your space clean and safe. Cleaning surfaces such as the ceilings, equipment and exterior surfaces of your building provides many benefits. It keeps your risk of fire and other safety hazards lower, provides better code compliance and extends the life of your property. Why is Surface Cleaning Important? 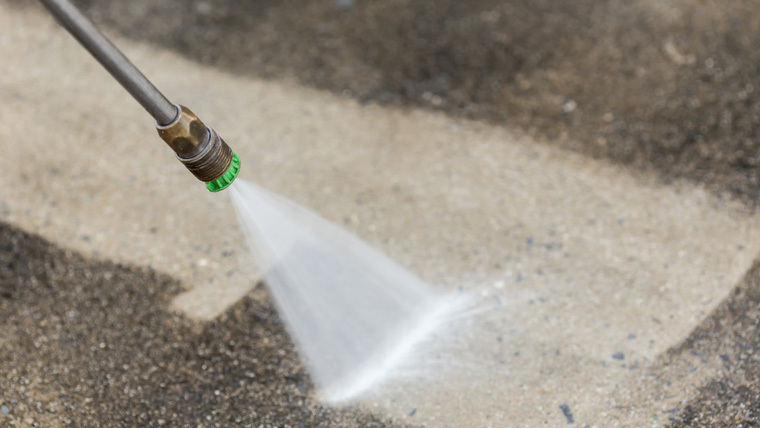 A good pressure washing can bring new life and appeal to your building and facility! Our expert team provides above-and-beyond quality cleaning. We understand the need for someone you can rely on to give consistently excellent service when cleaning your kitchen and facility. We promise to meet or exceed your expectations. If we don’t, just let us know when we perform our routine follow up call, and we will come out and fix anything we missed. We aren’t happy until you are. Contact us for a free assessment to better determine your surface cleaning needs and how we can help. Ready For A Level of Clean That Will Keep you in Business? When you need surfaces cleaned – from kitchen equipment and ceiling tiles, to loading docks and the sidewalks leading your customers inside – call Facilitec West. We provide highly trained, professional service to give you the best quality in a clean, safe facility. We promise you will be amazed. Call us today at 888.463.2293.